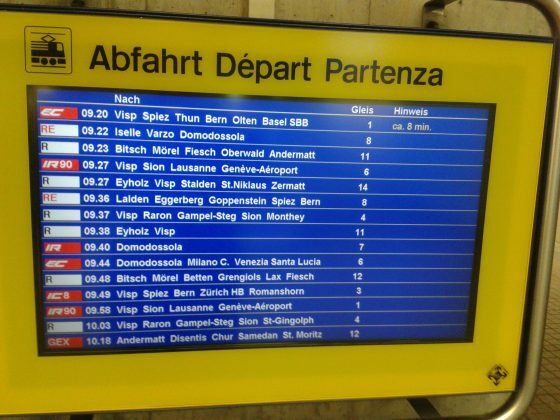 Italy was my next day out and as you can see there’s a myriad of choices to use your Swiss Rail Pass from Brig. But, this time I’m heading south towards Locarno, Switzerland and a stop close to the Italian and Swiss border town of Domodossola. Smaller train but just as popular as the others for a day trip. 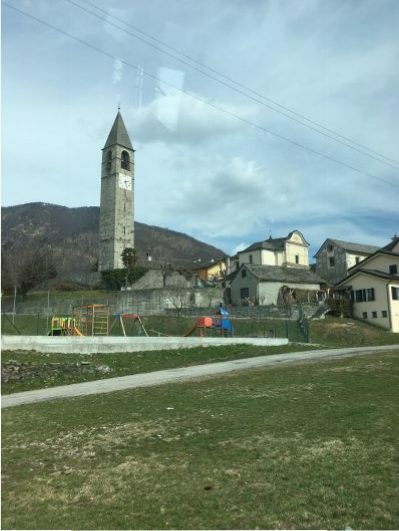 Although it is an Italian train, the Centovalli fare (but not the supplement) is included in the scope of the various Swiss Rail flat rate and discount passes, as are journeys from Domodossola. The Swiss portion of the line is managed by Ferrovie Autolinee Regionali Ticinesi. On the Swiss side, directional signs and employees prominently display the company’s acronym – FART. 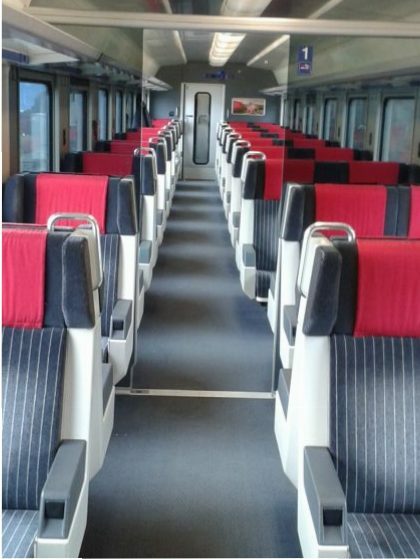 Since at least October 2012, there is new rolling stock called the ‘panoramic train’. When taking this train, regardless of the type of ticket held, a supplement of €1,50 or CHF2,00 per passenger is collected in cash, on board by the conductor. The departure board mentions “supplemento” for runs on the panoramic train. The supplement isn’t collected on other trains on the route. Opened on 25 November 1923, the 52 kilometre (32 mile) long railway has 22 stations and takes approximately two hours to traverse the whole length. 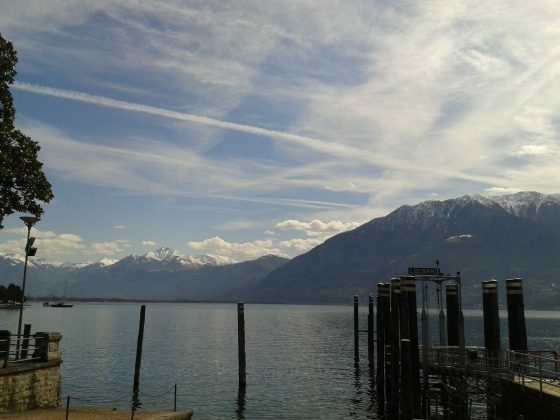 The Italian-Swiss border is crossed between the towns of Ribellasca and Camedo. 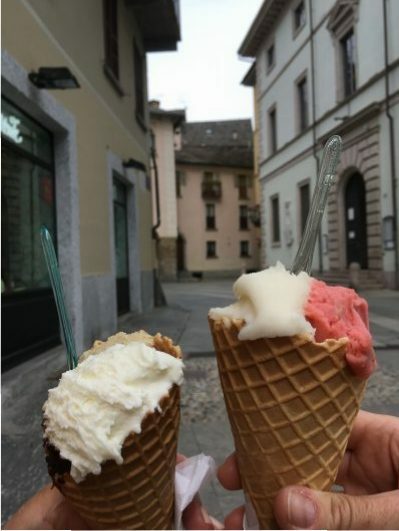 It’s starting to feel a bit like Italy! 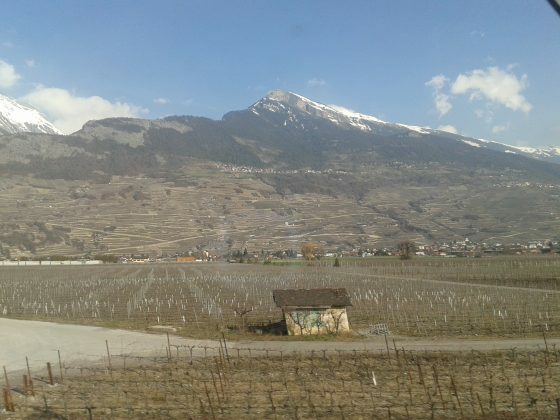 Vineyards which have been in winter mode are starting to awaken to warmer air. The surrounds wreak of grapes soon to be lovingly embraced by workers who deliver that delicious juice that we all enjoy so much! Up and down and around we go on our little train enroute to Italy and then a quick trip, crossing into Locarno, Switzerland being on the coast. 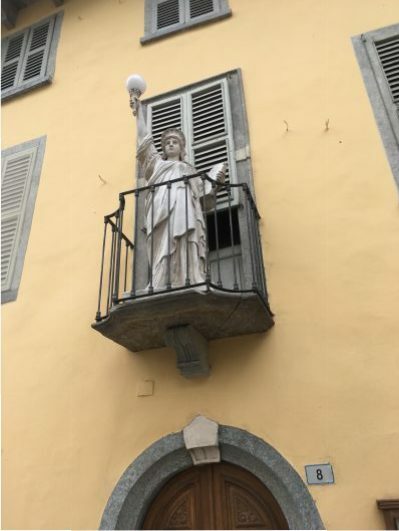 Domodossola is situated at the confluence of the Bogna and Toce Rivers and is home to 18,300 people. The railway currently plays an important economic and tourist function in this area. It’s the shortest and most scenic link between the major trans-Alpine railways that pass through the Simplon and Gotthard tunnels. 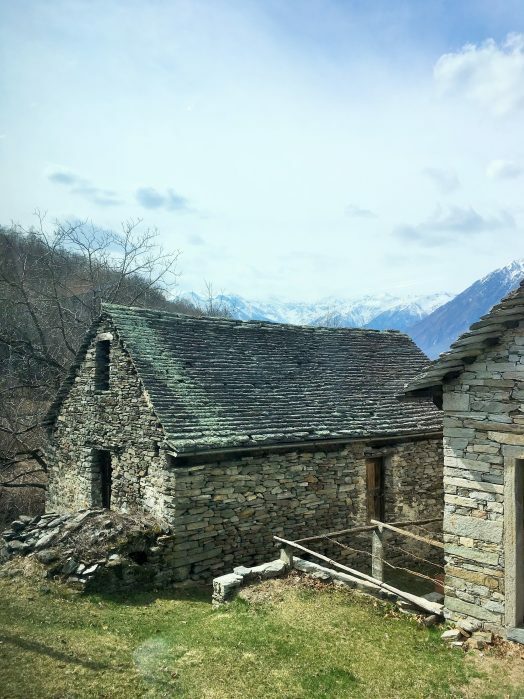 Combined with the Simplon railway, it provides a fast connection between the Swiss Cantons of Valais and Ticino. 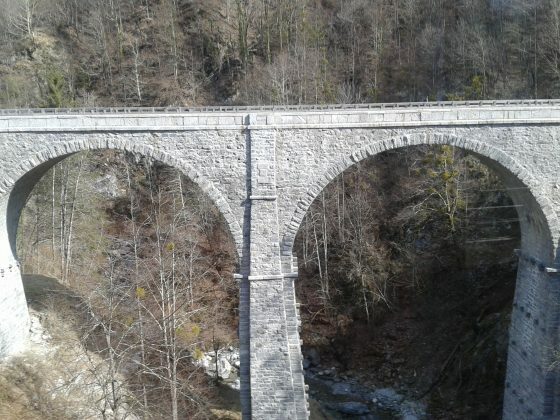 The Centovalli railway (Italian: Centovallina) is a metre-gauge railway negotiating the dramatic mountainous terrain between Domodossola, Italy and Locarno, Switzerland where it ends, and along the way passes through the villages of Intragna and Santa Maria Maggiore and carried over one million passengers in 2010. Stunning scenery passes us by as myself and long-time Swiss friend Anne from Bern are having a day out in search of a decent pasta and mouth-watering gelato. Close to the station, we didn’t have to go too far before finding a number of quaint cafes and restaurants – warm, cosy and inviting. 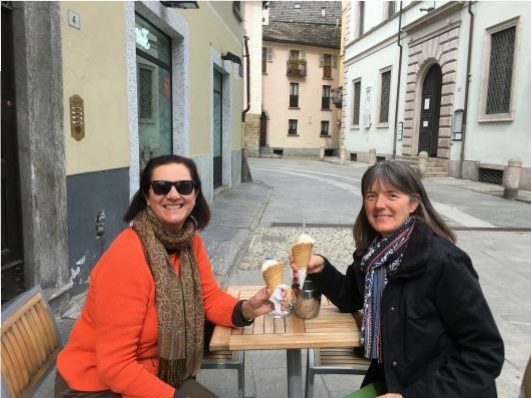 Domodossola was a perfect choice to have a break with Anne and find a gelato with coffee before walking around the lovely township. This lovely Italian whistle stop is located at the foot of the Italian Alps and acts as a minor passenger-rail hub. 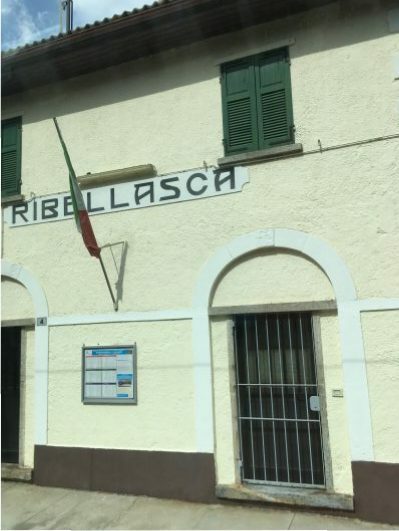 Its strategic location accommodates Swiss rail passengers and the Domodossola railway station is a regular international stopping-point between Milan and Brig. 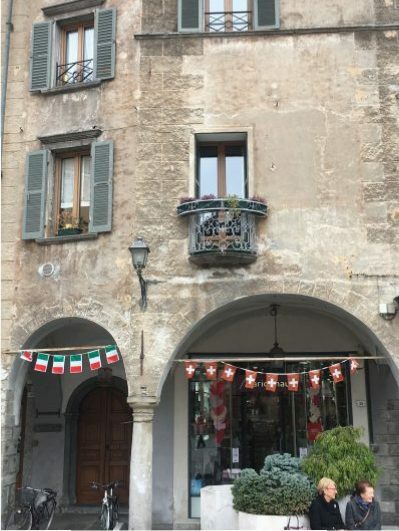 Flags from both Italy and Switzerland fly freely and a great way to enjoy the best of two cultures in one stop. The railroad connects with the Swiss national railway terminals at both ends. Additionally at Locarno, trains run frequently to scenic Lugano further along the coastline. 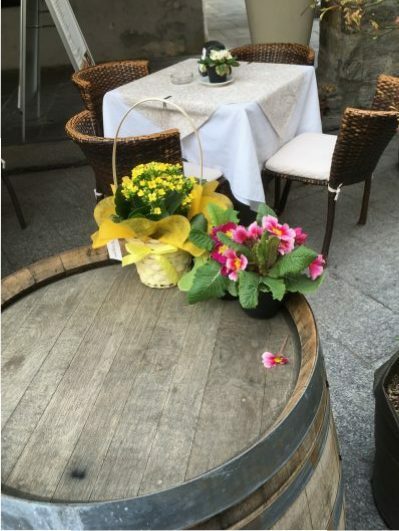 The name “Centovalli” (100 valleys) derives from the existence of the many valleys along the line upon which are perched small towns to picturesque Locarno. The mountainous geography means that there are numerous bridges and viaducts to admire on a journey. The trip is exceptionally scenic and negotiates many gorges and definitely worthy of a day’s outing. For Australians wishing to purchase a Swiss Travel Pass and seek further information see the link below for RailPlus.